1. Simple nautical touches can be added to your coastal space by accessorizing with sea inspired glass jars or decorative pieces. Design advice to add a little coastal nautical style to your home. 2. 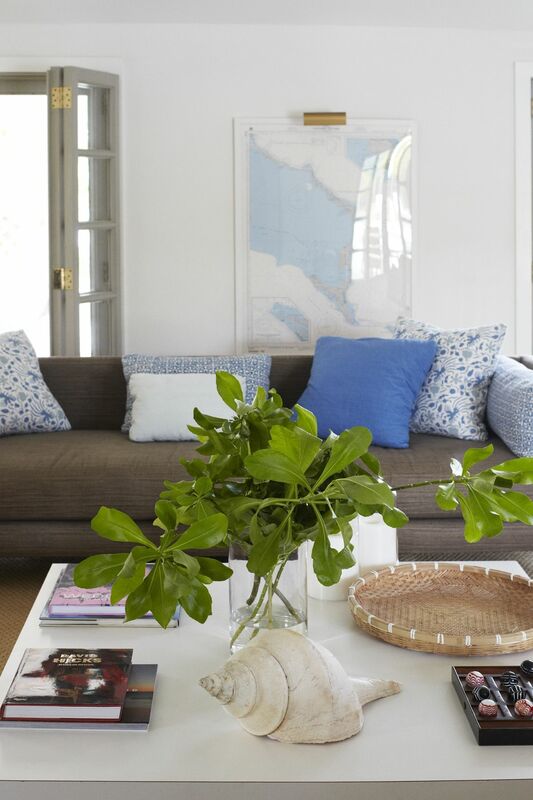 Framed nautical maps add instant coastal sea inspiration to a room. 3. Create a nautical design focal point. This coastal space used the mantle to bring in a beautiful nautical design. 4. Set the tone with the doorway to your home. Add a nautical design to your entryway with simple brass door hardware or a door knocker. 5. Coastal boat inspired decor such as dock chairs or oars as wall art can give a space the nautical design it longs for.